; Put a plot counter on Deadly Designs. Any player may activate this ability. 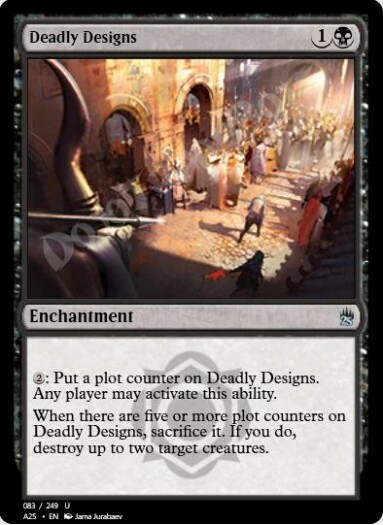 When there are five or more plot counters on Deadly Designs, sacrifice it. If you do, destroy up to two target creatures.